This storm cycle has been good to Monarch. 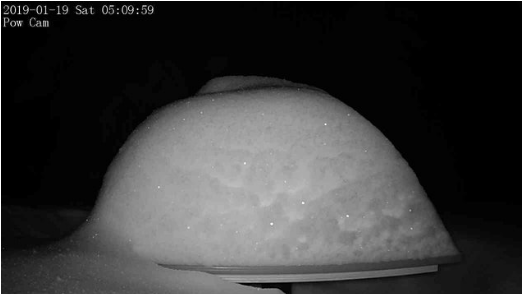 We buried the butterfly at our Storm Cam. This image shows what we have received since this storm cycle started on Wednesday (21″ in four days). The butterfly is 12″ tall and we clear the board after a storm cycle is finished. (i.e. the first day we report no new snowfall). For all the numbers on our snow report, check it out here.